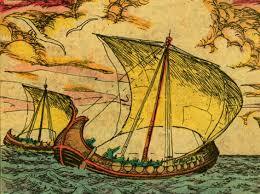 The first recorded use of the word ‘mentor’ is in Homer’s epic poem The Odyssey. Ulysses left his trusted friend Mentor to take care of his household and his son Telemachus whilst he was away fighting in the Trojan War. In fact it wasn’t Mentor but the goddess Athene (goddess of war and of wisdom) who helped Telemachus, appearing throughout The Odyssey in a variety of human and animal forms, including that of Mentor. 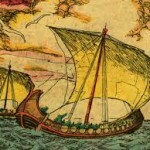 As Mentor she acted as a wise and trusted adviser and counsellor helping Telemachus grow in experience, maturity and courage. The word ‘mentor’ has come to represent a wise and responsible tutor – an experienced person who advises, guides, teaches, inspires, challenges and corrects, and serves as a role model. 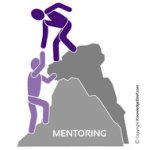 Mentoring is now a widely used and effective tool for personal and organisational development. 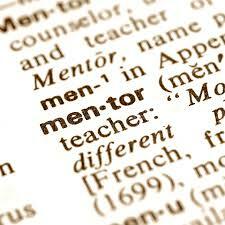 Mentoring is a distinct activity which has become a widespread development tool. We all know of famous mentoring relationships. Ian Botham for example was mentored by Brian Close, Kevin Keegan by the great Bill Shankly. There are many business mentoring relationships, notably Chris Gent and Arun Sarin at Vodafone and there are many more examples from politics and other fields. A recent Times article offered the opportunity for readers to be mentored for example in theatre directing, novel writing, entrepreneurship and other high profile fields, often by celebrity mentors. This often leads to the popular belief that mentoring can only be carried out by the best in the field. To paraphrase Clutterbuck, who has written extensively on mentoring, anyone can be a mentor if they have something to pass on and the skills, time and commitment to do it. Mentoring involves the use of the same models and skills of questioning, listening, clarifying and re-framing associated with coaching. 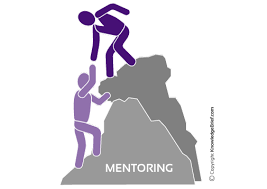 Traditionally, however, mentoring in the workplace has tended to describe a relationship in which a more experienced colleague uses his or her greater knowledge and understanding of the work or workplace to support the development of a more junior or inexperienced member of staff. One key distinction is that mentoring relationships tend to be longer term than coaching arrangements. In a succession planning scenario, for example, a regional finance director might be mentored by a group level counterpart over a lengthy period to develop a sound understanding of dealing with the boardroom, presenting to analysts and challenging departmental budgets, all in a supportive environment. Mentoring relationships work best when they move beyond the directive approach of a senior colleague ‘telling it how it is’, to one where both learn from each other. An effective mentoring relationship is a learning opportunity for both parties. This is particularly productive when used to encourage inclusive working practices and equal opportunities, for example where a senior female or ethnic minority leader mentors a more junior colleague from a similar background. Reverse mentoring (where a more junior colleague mentors a senior leader) can also be effective in encouraging sharing and learning across generations and/or between role levels. 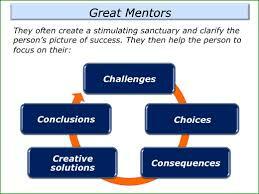 Good mentoring always involves a wide range of skills, including coaching, counselling, consulting and teaching. Feedback – a key role of the Mentor is to provide feedback. Mentees need to listen carefully to this, avoid becoming defensive, and look objectively at their behaviour. Similarly, it is important to consider the behaviour and actions that prompted positive feedback and what can be learned from this. Open-mindedness – the Mentor will encourage Mentees to move out of their “comfort zone”. They will take fresh and sometimes challenging views on issues that affect the Mentee at work. There will be disagreements and these need to be handled constructively. Honesty – the relationship will only work if both parties are honest with each other. Confidentiality is critical to the relationship. Maintaining the relationship – both parties must take responsibility for keeping the momentum going. It is also important to regularly review how the relationship is progressing and to recognise when it is appropriate to terminate the relationship. In “Everyone needs a mentor”, Clutterbuck describes how mentoring works and the business benefits of the approach. significant impact upon recruitment and retention (one study found that the loss of young graduates in the first expensive post training year was cut by two thirds). Increased productivity through better engagement and job satisfaction. Line managers and HR also benefit from better employee focus and engagement. In each stage there are responsibilities for both the mentor and the ‘mentee’. The tables below focus on the main strategies and methods required of the mentor. As well as the picture below, which provides a good overview model of mentoring, there is the The Mentoring Wheel designed by Mike Munro Turner, which has a strong model, and a good short article to browse.